I will be the first to praise the McGowan Firestone Electric Sharpener. I have seen no other sharpener like this one on the market. It is very unique in a number of ways and sets itself apart from other products. Perhaps the most surprising aspect of this high-priced sharpener is the 1 stage sharpening process. 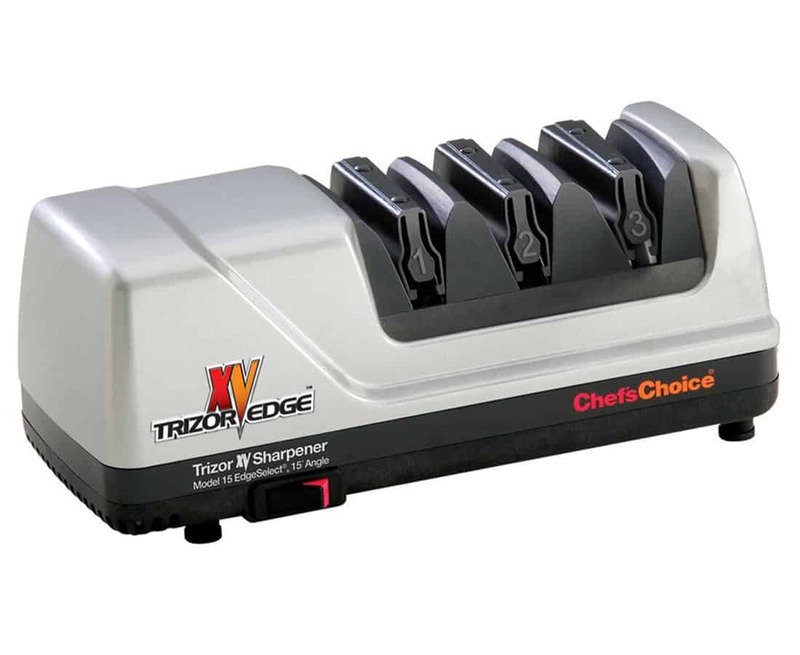 Typically, the more costly sharpeners on the market come with a 2 or 3 stage sharpening process. With the simple 1 stage process, sharpening is an easy and fast process. I do recommend this product to those in search of a sharpener, however be sure to read on and find out why. As I mentioned, this product implements a 1 stage sharpening process. 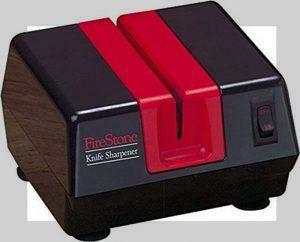 As opposed to the standard 2 or 3 stage sharpening process that we see on big brand sharpeners. But this begs the question, is more than 1 stage really necessary? Yes and no. The McGowan Firestone Electric Sharpener proves that a 1 stage process is more than sufficient for sharpening the likes of kitchen knives. However, that’s not to say that it is the only method of sharpening. What’s great about this product is that it is straightforward, you don’t have to worry about which slot to put your knife in. Once you pull a knife through, it places a very good-hollow ground edge on the knife. Try it one stoke at a time and examine your knife to see are you happy with the highly polished edge. If you have a dull knife, it may require a few more strokes to meet your sharpening satisfactions. Just by looking at the product, it is pretty self-explanatory. Even without a guide, I’m sure anyone could work out how to sharpen a knife using this product. The good thing is, a manual is included to make the process even easier, as if it wasn’t already simple enough. 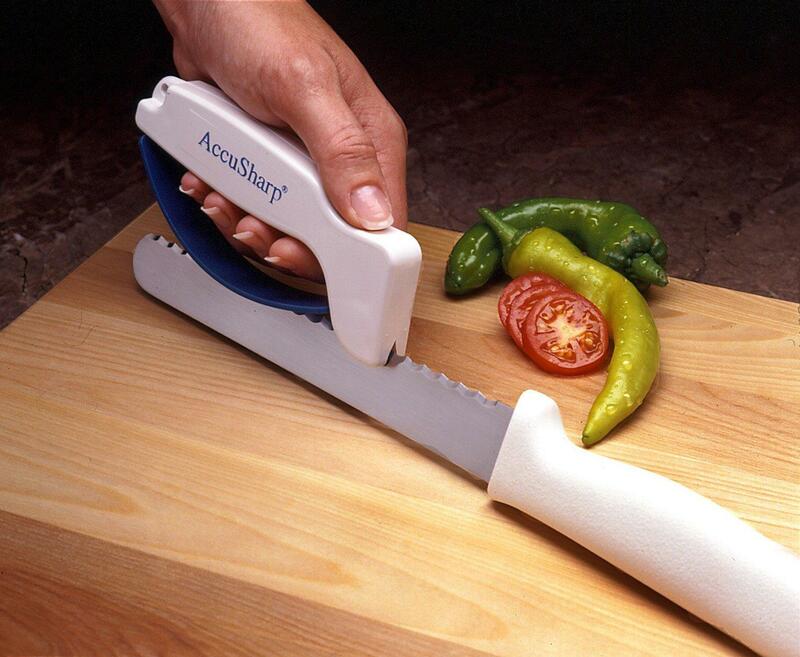 Hold the sharpener with one hand, while your sharpen a knife in the other. The simple, portable design of this McGowan product is very convenient and goes a long way in providing an impressive sharpening service. Another feature that makes this sharpener unique is the ceramic sharpening wheels. The direction of these sharpening stones have been reversed, meaning they are the opposite of a standard sharpener. Changing this direction makes a huge difference in the sharpening process. On first use, the ceramic sharpening wheels can be quite aggressive, which may be what you need for those dull knives. Be sure to keep this in mind when using this product. So far, this product has totalled over 60 reviews. What is really impressive is that more that 97% of customers are completely satisfied with this product and would highly recommend it. While it hasn’t tallied the most reviews, it is clear to see those who have bought it, are more than happy. Sitting on 4.7 out of 5 stars, it is very rare to find a genuine flaw with this McGowan product. In fact, the 3% that were unhappy seem to have received a defective good, and received a replacement. This sharpener may not have been your first choice, but you should definitely give it a chance. Take a look at the reviews yourself and you can see how pleased customers are with this product. Customers have even stated how it is superior to its big brand opposition. A unique, simple, easy to use sharpener that does what it says in the manual. Just be sure to read it! But seriously, a really great product that is worth checking out.